Wonder when he's allowed to do a preview on it. Sooo... we might get a 3K Review... what about the long promised TW WH Review? I enjoy Joe's videos. He is a nice guy. But I wonder if he is the right player to preview a game like this, with the severely ramped up complexity of the campaign. He didn't hold any punches with his Rome 2 review. He will give what it deservs. Joe is one of the reviewers and previewers i respect, he doesn't hold punches and he's pretty honest. I think what thrawn means is, that he could give 3k a more negative review than it deserves, because the revved up camplaign complexity might cause him to struggle because he doesn't use all the options. Good, if He get a copy of the game than Indypride, ItalianSpartacus, Sotek and the rest of Total War youtuber got their copy. I bet NDA will end on tuesday or thursday next week or week after. i wouldn't count on that. AJ is a bigger youtuber than either of them, iirc. And Sotek has the problem that his reputation is a bit stuck to Warhammer, rather than the TW Series itself. 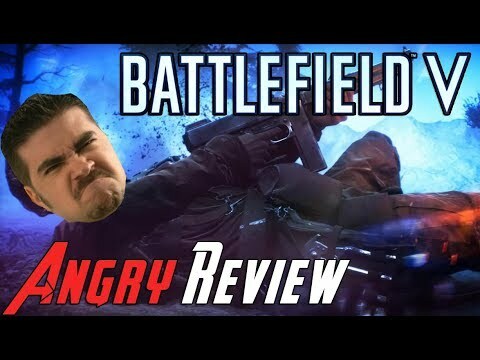 Am I the only one who doesn't like AngryJoe? I know he's a big youtuber, but he's just so annoying, I can't watch his video without being annoyed. Like everything he does seems forced. I don't like AngryJoe either. I can't speak for his reviews, as I've never watched one. He just takes his "Constantly Angry at Everything" YouTube persona way too seriously and it's always so blatantly forced. It's simultaneously frustrating and cringey to watch. He is not always angry in his reviews, especially in his latest reviews, when he angry, there is an reason. Yeah sort of. I don't mean he will give it a negative review, but he does not really play complex games. I have never seen him try wargames or even Paradox strategy games. Im filling my time with things to do. God Eater 3 is out for example. I got a skyrim playthrough too. Less i think about 3K the better ^^ time will fly and suddenly i can play it! And Angry Joe had made it harder for himself by playing with Cao Cao, who's gameplay is more based around manipulation, but still I don't think that Total War: Three Kingdoms would be as hard to play as Crusader Kings 2, especially in the romanticized mode. Thread is literally 'every reaction to every critic these forums ever have'. There's literally no criticism, no matter how gentle or grounded that can be made, that doesn't get the usual empty tropes wheeled out. Yawn, what reaction? That some people like him and his reviews, and other people dislike him and his reviews? I mean the nerve of the people on these forums. Funny thing, the impression that I get, is the people who like him watch his reviews, the people that don't like him avoid them. It's not like they are going onto the Angry Joe Youtube channel and posting negative comments on every video he creates. Such an interesting concept. I don't follow him because the overreacting is way over the top, but I can see that he is honest. But immediately calling it that he will give a negative review because of the new diplomacy? Seems like people can't handle any reviews not from CA influencers, who need to stay in good terms with CA to guarantee their early access copies. More varied reviews is better than getting the same few people to review TW titles. Also we still have no footage of classic mode. Not a fan of the hero units. I hope the preview copies had the mode as well. Awww yeah! Thanks! If Angry Joe says its good. I'm buying. That is the one guy I definitely trust on a review. I know some people in the entire world may not like or watch his reviews. However, Please don't pull a "He's just a troll blah blah blah" if he finds a criticism. I get that feeling that there are people who are literally traumatized by the idea of anything being slightly wrong, or criticized. If anybody who doesn't like or hasn't seen a video yet would like to, you could watch his shogun 2 and rome 2 total war reviews. What? He even played the previous total wars. This is what I'm meaning, not only incredibly false, but already trying to claim that if he does give a criticism that it is due to him not understanding it. He doesn't even got a review out yet, and this is being said? Why not just wait for the review? Especially when the criticisms you give on him "not playing complex games, wargames" ect are not true. Idk if he review paradox though. No i just don't like his approach and jokes and enjoy the more serious youtubers. Just a matter of personal preference and nothing to do with him being critical. I'd watch it just to get new info, but beyond that I hate you tube acting. I'm the minority but would love a let's play where someone just starts the game and plays, no talking, no dumb mug shot of themselves playing in the corner. Just the game and see it played. Joe's reviews usually are him talking, cutitng to certain scenes (full screen, sometimes picture in picture) when he wants to emphasis certain scenes... especially when he finds something he really dislikes. I wonder when he, and other streamers, will be allowed to show what they got. I guess they dont want to reveal everything because for some people that would kill a bit of the game. I would really like to see the opinions of some RoTK fans playing this, since im a much larger fan of those games then Total War games. I wonder how angry it made him? If it made him angry because he had a tough time overcoming the AI, that's still a positive. Honestly, if hes playing as Cao Cao, hes going to have an easy time of it I think. Cao Cao has, or should have, really good starting generals and location. Even just the 2 we know he has, Dun and Yuan, thats almost like Lui Bei's Yu and Fei.